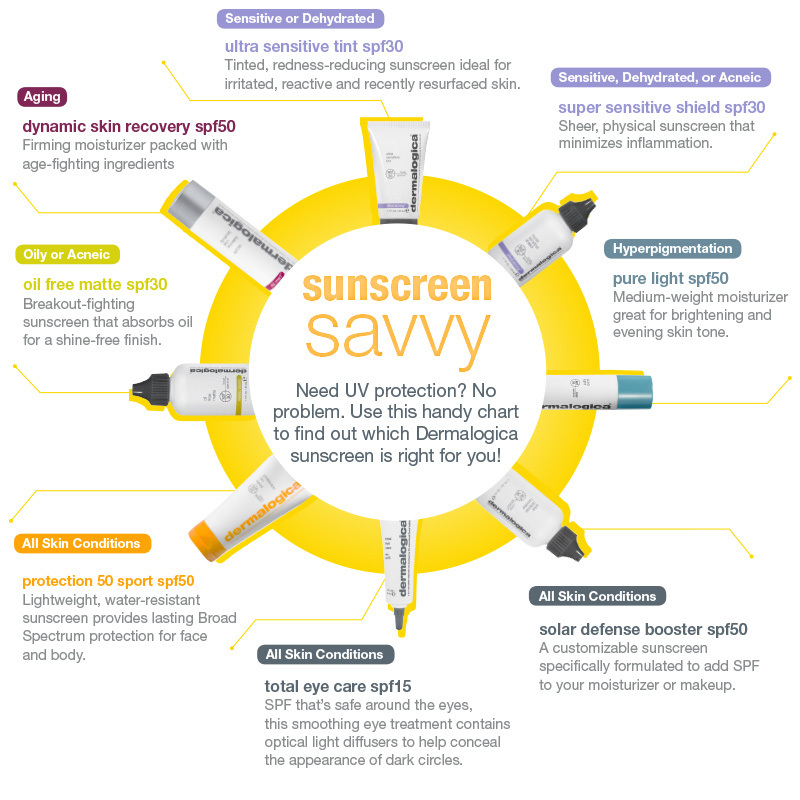 Now that the sunny weather is in full swing its important to protect your skin from the sun’s harmful UVA/UVB rays. Over exposure to harmful sun rays has not only been linked to skin cancer, it causes premature aging: wrinkles, pigmentation & sunburn. At Urban Retreat one of the most vital pieces of skincare advice we give is WEAR SPF DAILY! We have a wide range of suncreens (both chemical & physical) for face & body to suit everyone. Click on the image below to see a larger version. When you purchase 2 Dermalogica products (including one SPF product) receive a sunbag and trial size conditioning body wash for FREE! *Available for June 2017 or while supplies last.